Only seven per cent of Rs 9,860 crore or about Rs 645 crore released to 60 cities under the smart cities project has been utilised. 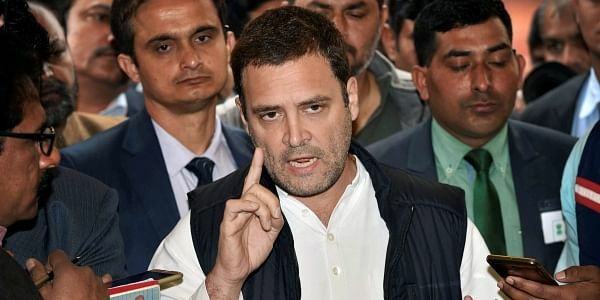 NEW DELHI: Congress President Rahul Gandhi on Sunday attacked Prime Minister Narendra Modi for only giving empty slogans and said the government utilised only 7 per cent of the Rs 9,860 crore allotted for the Smart Cities scheme. "Dear Modi bhakts (followers), out of 9,860 crores for the Smart Cities only 7 per cent has been used. China is out competing us while your master gives us empty slogans. Please watch this video and advise him to focus on what matters - job creation for India," Gandhi tweeted. He also attached a link to the documentary "Shenzhen: The Silicon Valley of Hardware". The Congress leader's remarks comes a day after government data pointed out severe under-utilisation of alloted funds under the government's ambitious project of Smart Cities scheme. Only seven per cent of Rs 9,860 crore or about Rs 645 crore released to 60 cities under the smart cities project has been utilised so far, according to data of the Housing and Urban Affairs Ministry.